A Topgolf party is unlike any other golf party on the planet. It’s louder, far more crowded, and it eschews any semblance of a strict dress code. 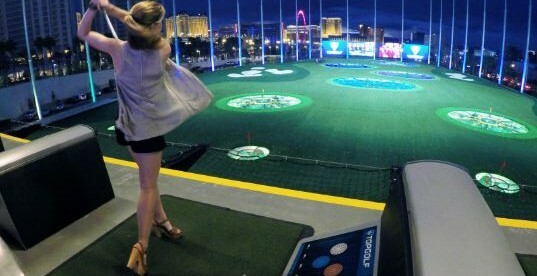 Especially when it takes place at Topgolf Las Vegas. Topgolf Las Vegas has 108 hitting bays, six targets, four levels, five bars, two pools, TONS of large-screen TVs that are designed to showcase every significant sporting event, a concert venue and a Callaway Golf fitting studio.